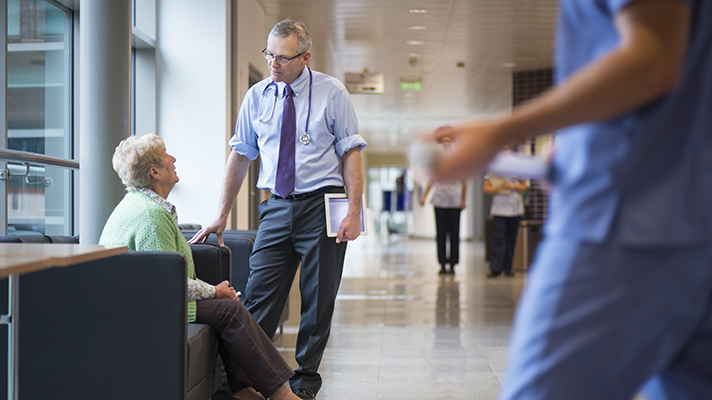 Hospitals are increasingly driven to improve in these areas to avoid reimbursement cuts. Healthgrades on Tuesday named nearly 1,000 hospitals to its 2017 Outstanding Patient Experience Award and Patient Safety Excellence Award lists. The awards, which the group gives out each year, are meant to highlight U.S. facilities that either excel in patient experience ratings or have low incidents of patient harm. For the Patient Experience Award, Healthgrades awarded 443 hospitals with the distinction, using the hospitals' Hospital Consumer Assessment of Healthcare Providers and Systems surveys to gauge how highly patients rank them. According to Healthgrades, the awarded hospitals represent the top 15 percent in the nation. The group also said it found a correlation between how hospitals scored on questions related to whether patients would recommend the facilities and whether nurses communicated well and the overall survey score. "It's not surprising that consumers are more satisfied with hospitals that prioritize communication between patients and staff. It is a very important aspect of the provider-patient relationship and hospitals that invest in creating a highly communicative culture appeal to consumers," said Healthgrades Chief Medical Officer Brad Bowman. For the Patient Safety Excellence Award, Healthgrades looked at performance scores for 13 Patient Safety Indicators as defined by the Agency for Healthcare Research and Quality, an agency that President Donald Trump has suggesting folding into the National Institutes of Health. In total, 460 hospitals received the award this year, representing the top 10 percent of facilities. Winners showed lower rates of hospital complications, preventable infections or other deadly medical errors. Healthgrades said 134,568 patient safety events could have been avoided if all hospitals performed like the winners did. In addition to the obvious benefits of providing a better experience and safer care, hospitals are increasingly driven to improve in these areas to avoid reimbursement cuts from Medicare and Medicaid. In January, the Centers for Medicare and Medicaid Services announced it would cut 2017 payments to 769 hospitals with high rates of patient injuries.